The gigantic green and yellow Link buses are needless to say, a common sight all over Kampala, Uganda's capital. At least they have all come across one as it carefully navigates its way through Uganda's crowded streets, perhaps bringing to light that the greatest empires come from the most passionate, humble beginnings. 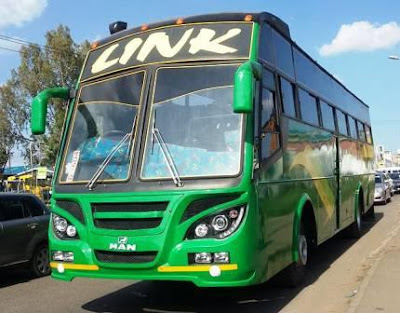 Mr. Solomon Nsimire, an Electrical Engineer by profession as well as the company’s Managing Director candidly recalls Link Bus Services rise to being one of the most prominent, reputable and reliable passenger transportation companies in Uganda today. The much admired mega brand was inspired by the Director’s deeply rooted passion for the transportation industry. 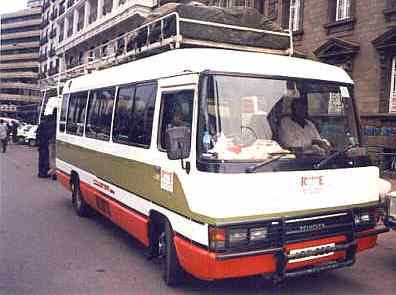 Solomon's journey in passenger transportation dates back in 1996 when as Sole Proprietor, he acquired his first 14-seater mini bus locally known as “Kamunye” which was commuting within Kampala city and the environs. As Link Bus Services Limited, They strongly believe their unbeatable customer service is what makes them stand out. From its conceptualization to its terminals and transportation services, Link Bus services are specifically crafted for your ultimate comfort. They have many buses and most of them are of Ordinary Class with 3 by 2 seating configurations, Their seating are not of reclining format, Passengers can only enjoy what has paid for, just to arrive safely in their destinations. Whether you are travelling to the beautifully captivating Rwenzori region for holiday or Bwera for business, Link Bus has got you covered. With over 10 major operational bus routes to choose from, you can be assured of top notch customer service and a very comfortable, efficient and safe trip. They are committed to providing safe, timely, reliable and affordable transport services across Uganda. Their friendly and well trained staff ensures that your journey with them is a worthwhile experience and your luggage, goods or parcels are delivered intact and on time. Their well trained staff handle all your parcels with utmost care and our large fleet of courier vans enables us to deliver your parcel just in time! Their large fleet of buses and unbeatable offers make it possible for you to book a bus for a school trip, private tour, function or just in case need arises. 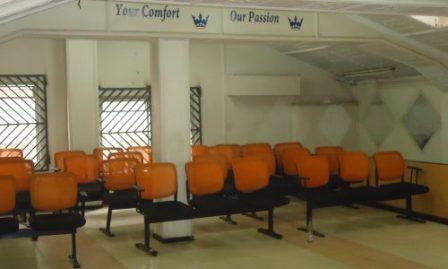 Their bus terminals are built to ensure that your product or service receives all the publicity it deserves. Multiple television screens fitted all over our terminals and a daily traffic of over 4000 Link Bus passengers collectively work in your favor to make advertisement and awareness campaigns more efficient and much easier than you ever thought. 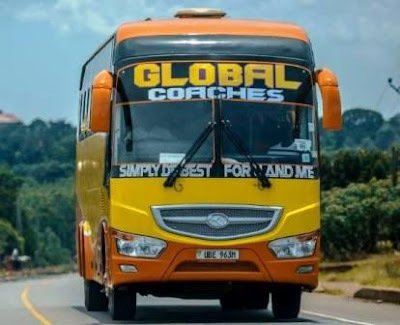 Global Coaches Company Limited Is a passenger transportation company which have based in Kampala Uganda, The company have been in the Industry for more than 7 years, Since it's establishment Global Coaches managed to get good reputation from those customers who are using their services. By selecting Global Coaches you can relax in the knowledge that you will travel in comfort and style with a coach operator that believes in providing excellent customer service, comfort, and reliability. With such capability they have risen to the top and very humbled to be one of the most competitive travel buses on the market as of today. Their vehicles are clean and modern and their staff friendly and helpful. Most of their coaches are those Isuzu bus model with a well designed bodies from Labh Singh Harnam Singh Ltd (LSHS) located in Kenya. They also have a Chinese King Long bus model for the VIP travellers. Global coaches continues to develop in terms of passenger comfort and appeal. They have quality people, quality service and high vehicle standards that will ensure your time with us is enjoyable. When you are travelling to/from Mbarara - Kampala, They can offer a professional service, so you can sit back and enjoy yourself. They have a daily scheduled services within Uganda and also the to Kenya, They also have route to Sudan for some specific days. When you choose Global Coaches, You can also transit your Parcels and small luggage at a fair price to any destinations where their buses used to go. 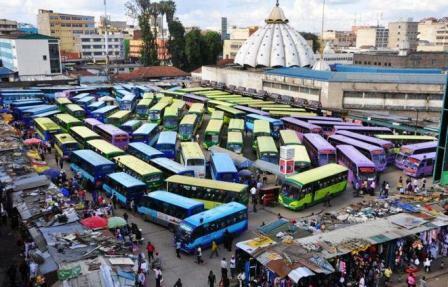 Hakati Bus Terminal Is a one stop center for many buses which have destination in Nairobi City within Kenya. The station came into operation just after the CBD station removed from operation by Nairobi City Governor Mike Sonko. Hakati Bus Terminal is for commuters Buses and Minibuses (Matau) which headed to, South B/C, Karen, Kitengela, Balozi, Kiserian, and many other destinations. The backlits are strategically placed in the middle of the terminus Next to the Bus shelters for maximum brand visibility, 16 Units. 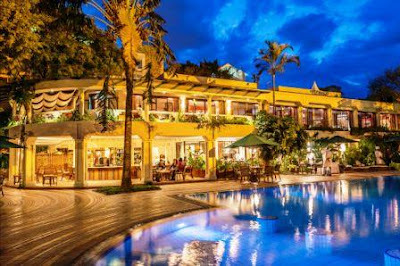 Understated hotel with 3 restaurants & a rooftop pool, plus a spa & a ballroom. 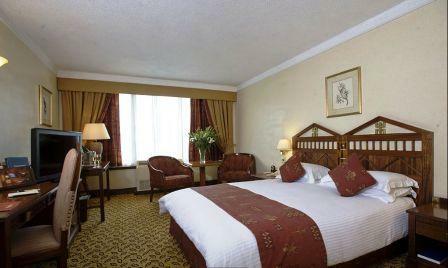 Refined rooms & suites in an upmarket hotel with elegant dining, plus 2 bars & an outdoor pool. Low-key rooms in a down-to-earth hotel featuring Wi-Fi & a restaurant serving free breakfast. Refined rooms & suites in an upscale hotel with an outdoor pool, an Indian restaurant & a chic cafe. Elegant rooms in a polished hotel, with a spa area, a shopping arcade & 3 restaurants, plus a bar. Refined hotel with 4 international restaurants, a casino & shopping, plus an outdoor pool & a spa. Unpretentious rooms in a hotel featuring a laid-back international restaurant with a bar. Travelling in Kenya by the public bus system and matatus are the cheapest and most popular mode of transportation. The most viable mode of transportation in the region is using road transport. The good news is that the bus network is great and the beautiful scenery along the routes makes it even better. 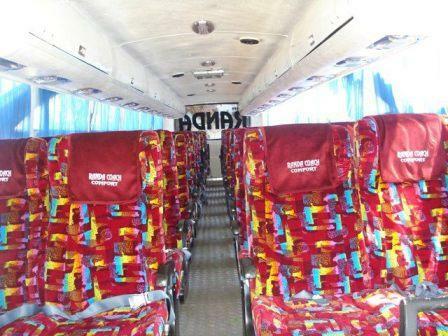 Various companies have introduced buses that are fairly priced, comfortable, and reliable to a significant number of budget travelers visiting the region. Majority of people in Kenya prefer Public buses and Matatu for long and short distance travel in all cities and towns. Buses are regarded as safer and follow the same route as matatus. However, while buses are often quiet and operate in a timely manner, matatus play loud music, have erratic schedules with frequent stops, and provide a more dramatic Kenyan public transportation experience. Major Coaches (Buses) and Matatu (Mini Bus) offer convenient and express services between the major cities, suburbs and towns across Kenya. For Matatu Fare is paid onboard while Long distance commute buses to major cities require advance booking, which can be done at their booking offices before the day/time of travel and other companies provide online booking services on their website. For shorter rides, you will have to take a 14- to 16- seater matatu, or a 6- to 7- seater shuttle. For matatus, ask any local where the central bus terminal is. In Nairobi, you will want to go to the River Road area. Just note that these areas are high-theft areas, so keep your valuables on you and stay alert. Due to recent developments, Matatu now provide seatbelts and do not exceed the vehicles seated capacity. Matatu usually travel along set routes; however, it is possible to charter a matatu for travel outside of major towns, just make sure to agree on a price before departure. 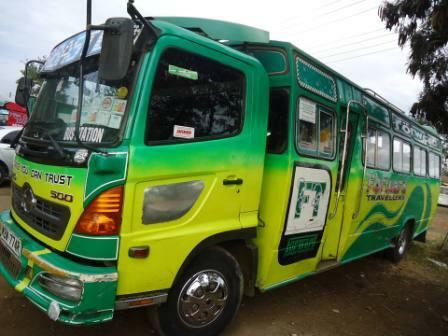 Matatu are very cheap and a quick and convenient method of transport in all major towns and many rural areas. For Major Bus Line service providers often avail their services in three categories including Normal, Economy, and Business class. You should choose the category best suited for your needs. The major bus lines are pretty nice, air-conditioned buses like those you’d find anywhere else in the world. For these routes, it’s best to buy a ticket in advance (best done in person) and they’ll leave pretty much leave on time. Just try to sit closer to the front if you’d prefer not to bounce up in the air every time the bus rolls over a bump. Coaches which are in good condition make the journey comfortable, thus, it is important to take into consideration the condition of the bus (cleanliness, air conditioning, TV, window length, and toilets). The coach should be relatively new with the appropriate air conditioning and avail toilets, the length of the window should be sizable, TV is a crucial form of entertainment for the long journey. Kenyan buses are pretty economical, with fares starting at around KSh150 for an hour long journey between towns, while fares between Nairobi and Mombasa begin at KSh600 for the standard journey and can go as high as KSh2000 for premium services. Getting around in small villages, like Watamu, is never complicated, There is a widespread network of transport that connects each and every hut, house or village. A local, or fearless tourist, just has to raise his hand wherever he/she may be and a bodaboda (motorcycle taxi, theoretically two-person) will immediately pick him/her up and take him exactly where he wishes to go. 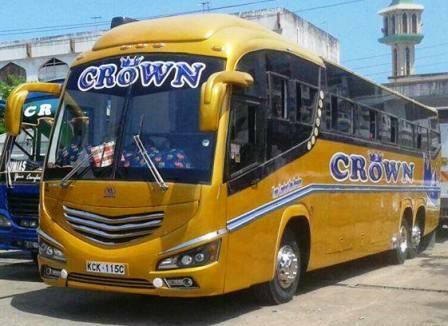 Crown Bus Service Ltd Kenya (CBS) was initially founded in the year 2004 by two people wo are now a directors with the aim of providing personalized and customer based passenger service. At a later stage, the company management, encouraged by the passion of providing first class passenger service, fully started operations in August, 2006. The company’s first operation route was decided to be the Nairobi to Mombasa with the head office located in Nairobi. With over 30 years of experience in transport business, the directors penned the company name, Crown Bus Service to sum up the ideals the company stands for in providing excellent passenger service. Such ideals are standing high as of today with proven record of quality service. 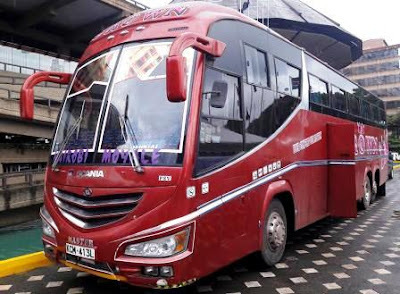 Being one of the Best Kenyan bus company, They have invested heavily in Scania bus models with locally assembled bodies from Master Fabricator, Choda and other Kenyan body builder. Thought it's a Local made but their buses are of high quality and standard with passenger friendly facilities. All of their buses have 2 by 2 seating arrangement with enough Legs room. At the back of each seat there is USB charging system to give you a free power for your smartphones. While you are traveling with Crown Bus Services, You will enjoy on board entertainment l8ike Television services from a large screen as well as Good music from their good sound system. Don't forget, They have free WiFi for you to enjoy a smart internet all the way long to your Destinations. They provide passenger transport services to more than 20 destinations within Kenya and Uganda. They are committed to offer Safe, Reliable and Affordable service in the transport industry. Their staffs are well trained and equipped to support this noble objective. Their parcel services are highly appreciated and approved by their customers. In addition to the buses, They operate 4 trucks that are exclusively dedicated for carrying large size parcels that cannot fit bus compartments. Their customers can call any of their branches and track their parcels at any time. As parcel safety is core issue, they have adopted properly coded and secure system for tagging parcels, to ensure all shipped parcels arrive at the right destination and for the right owner. They also have high quality CCTV and other types of surveillance systems that guard their warehouses and parcel storage. All their services are on the go 24/7. For the comfort of their customers, They also do contact clearing agencies at border crossing in the case our customers need help. In addition to passenger and parcel services, Their company also leases buses for travel agencies, tour groups, hotels, government agencies, international organizations, religious groups, colleges and universities, and the business community. They are flexible to accommodate their customers’ demand in this regard. Do You Know That You Will Get One Free Ticket After Every 10 Tickets? Keep Your Tickets and show them when you have 10 tickets. Introductory offer of KES 1000/TZS 20000/UGX 30000/RwF 7000 on their new route Nairobi to Bungoma. Book Nairobi to Mombasa or return during the day and get KES 400/TZS 8000/UGX 12000/RwF 2800 discount on the return ticket. Monrovia Street, Lagos House-Near Salvation Army. P.O. Box 634, 00100 Nairobi - Kenya. 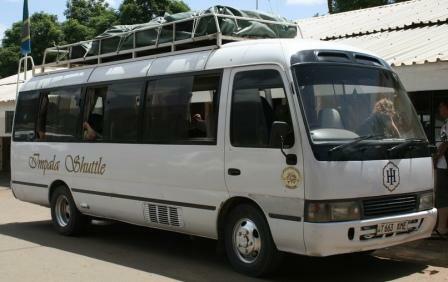 Riverside Shuttle is one of the major shuttle bus operators between Moshi and Nairobi. It has been in operation for more than 28 years. 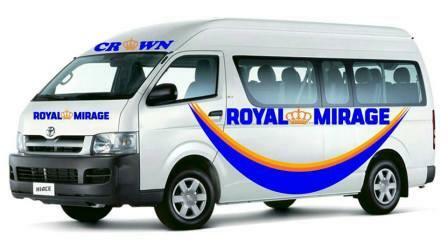 A fleet of minibuses take people to / and from their destination hotels if necessary. The main leg of the journey is in a 25 - 36 seater bus. Their drivers have an excellent safety record and are in continuous radio contact with their headquarters. They will assist you with the border formalities which are kept to a minimum. They also arrange private vehicle hire to any destination in Kenya and Tanzania with a fair prices. In the arrivals hall a Riverside representative will look out for you. However it is best to wait in the Paul Cafe/Restaurant. The Riverside bus usually stops outside but there can be last minute changes due to unforeseen circumstances. It is your responsibility to be at the bus at least 15 minutes before the departure since the bus will not wait. Please provide them with your flight details. The bus is loaded and departs near the Parkside Hotel on Monrovia Street. Report to the bus at least 15 minutes before departure especially if you have bulky luggage. The bus is loaded and departs from outside the Bella Luna hotel. Report to the bus at least 15 minutes before departure especially if you have bulky luggage. The bus is loaded and departs from the YWCA building. Report to the bus at least 15 minutes before departure especially if you have bulky luggage. They will meet you or drop you off at most central hotels in Nairobi, Arusha. They must know in advance where you are to be picked up and you should be ready to travel at the hotel reception 30 minutes before the scheduled departure of the service. 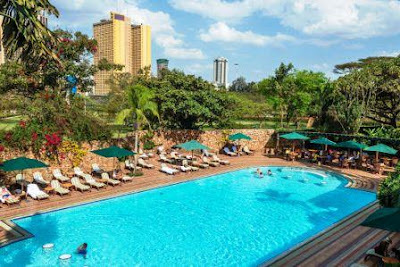 On the booking pages you will have a drop-down list of hotels in Nairobi, Arusha and Moshi to select from. If your hotel is not on the list please select the nearest convenient location for you to get to. It is essential you have the correct documentation at the border crossing. It is best to obtain visas in advance but they can be issued at the border, in which case please ensure you have the correct amount of money and in the correct currency. Please check the latest advice on visa procedures before your travel date. The Riverside service will not be able to wait indefinately at the border in the event of documentation or visa problems. Please read the "Booking Conditions" and "Booking Form" carefully. Complete your booking over secure server. Only credit card or PayPal payments are accepted. In the unlikely event a place is not available on your chosen journey we will offer you an alternative or not charge you and inform you of the situation. On receipt of your payment They will confirm your booking by email with a bus voucher, an invoice and a receipt. The Voucher will serve as your ticket and should be shown to the Riverside staff. Cancellations Should you wish to cancel your booking advise us in writing immediately. If cancellation is notified more than 10 days before departure there will be a full refund minus USD 10 per person booked. 3-10 days full refund minus USD 15. Under 3 days we give no refund. They reserve the right to cancel a service at any time prior to 10 days before departure in such case They will refund any moneys paid to them. In such case no further compensation will be paid. They will suggest a suitable alternative and advise you immediately. Should the alternative result in travelling on different dates or at different times which are not suitable to you, you may withdraw from the booking with full refund of all moneys paid, provided they are notified within 7 days. This offer does not apply to simple schedule changes nor amendments to schedules caused by civil strife, war, riots, weather or technical delays, strikes, natural disasters or emergency or for any other reason over which Riverside and their agents have no control. Riverside has a fleet of buses available for private hire. Enquire with them for further details and for a price quote. Note: Fares may slightly differ depending on the situation in the transport Industry. 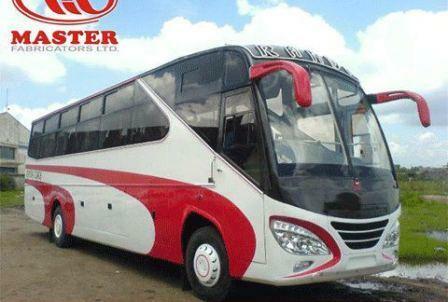 Forward Travellers Sacco Ltd Kenya is a medium size organization registered under Ministry of Co-operative Development and Marketing on November 2010 to operate an enterprise in the transport industry. The membership of the Society comprises of individuals who own P.S.V buses and through them ascribes to Forward Sacco for management and operations co-ordination. Currently, the membership stands at 300 with a fleet of 370 vehicles. They are using Matatu fleet for the transfer of passenger in all of their routes of Kenya. These Matatu are the Kenya's redesigned vehicle and most of them are previously were Isusu and Fuso Tipper. 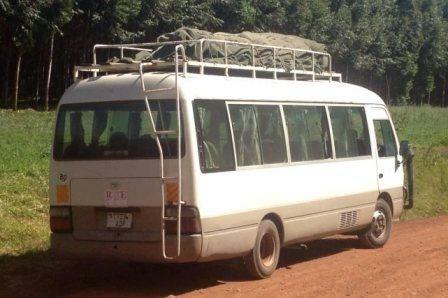 They are also using a Toyota Hiace for transfering passengers in their routes. 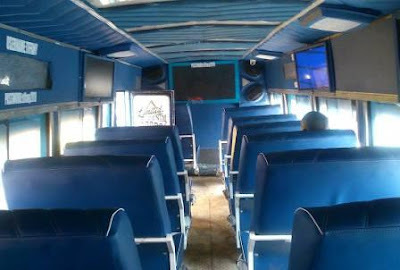 All of their Matatu have on board entertainment like Television Services and Good music from their heavy sound system made within their Matatu. Thought they are operating Pointy To Point services, but they have a good reputation to their customers. 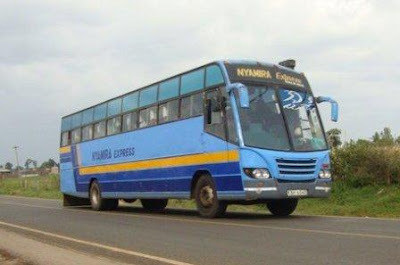 The main activities of the company is transferring of Passengers between those named routes in Kenya as they have daily services to their customers. This services are provided with regard to the announced fares in the Republic of Kenya and it's available to all people regardless their identity. They also provide other services as it explained as in the details below. The current interest rate is 1% p.m reducing balance. Maximum repayment period is 48 months. A member must have saved with them for a minimum of six months to qualify for this loan. The current interest rate is 1.16% p.m reducing balance. Maximum repayment period is 8 months. The maximum amount for this loan is Ksh 200,000. The current interest rate is 1.16% p.a reducing balance. Maximum repayment period is 8 months. These loans operate like the Normal, Emergency and School fees loans. The Society admits Matatu owners who are actively plying our routes and members of staff. Operates from Eastlands, Nairobi County specifically covering three major routes:19\60,17A and Eastern By-Pass-Bus Station. 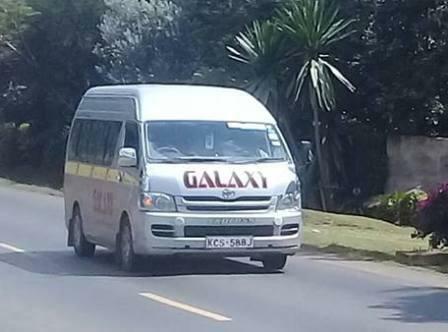 Impala Shuttles Is a bus services which offers transfers from Nairobi city hotel, parkside hotel, jkia pick ups / drop offs silversprings hotel (Main pick up in Nairobi). 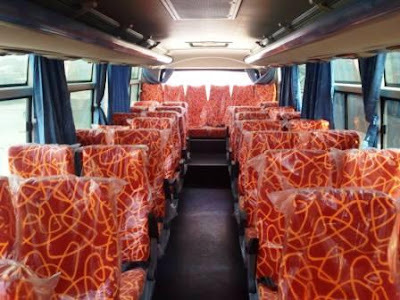 An ideal place to wait or get picked by local handlers This ensures all clients have safety and piece of mind from other road users shuttle buses transfer journey on the Nairobi Arusha Moshi Marangu route. Shuttles departure 0700hrs and 1330hrs daily arusha luxury shuttles Kenya Tanzania Shuttle Buses between Nairobi, Arusha and Moshi from Nairobi Airport or City hotels Destinations covered Namanga, Arusha, Moshi, Marangu nairobi moshi luxury shuttle bus in arusha and they do drop at impala hotel. About 5 hours traveling from Nairobi to Arusha and 6 hours traveling from Nairobi to Moshi Shuttle prices are; Nairobi Arusha US $30 Nairobi Moshi 35 $ prices include free pick ups in city hotel within 3 kms from their pick ups points. >Nairobi Arusha US $30 one way, Return US $60. > Nairobi Moshi US $35 one way Return US $70. > Nairobi Marangu us $ 80 or return. The Kenya Tanzania shuttle buses transfer journey on the Nairobi Arusha Moshi Marangu route, is about 5 hrs traveling from Nairobi to Arusha and 6 hours traveling from Nairobi to Moshi Shuttle prices are given above. 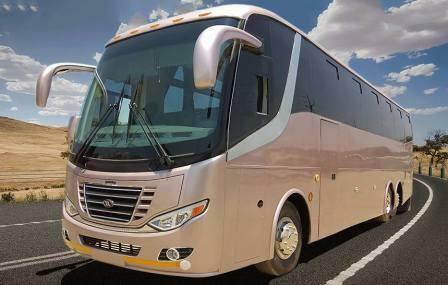 Luxury Shuttle Bus is a leading transport shuttle company which operates across Kenya and Tanzania via namanga border, it covers a large variety of destinations this includes Nairobi city, Jommo Kenyatta international Airport Namanga border, Arusha town,moshi, Killimanjaro Airport, and finally Marangu hotel. kempinski,Amber Hotel,Sentrim 680,The Boma Nairobi,best Plus Meridian Hotel,Nairobi Serena Hotel,Eka Hotel Nairobi,The Strand Hotel,Golden Tulip Westlands Nairobi Hotel,ambassadeur Hotel, Boulevard Hotel, Fairview Hotel, Hilton Hotel, Intercontinental Hotel, Nairobi Safari Club, New Stanley Hotel, Norfolk Hotel, private transfers bus Shuttle bus service between Nairobi Namanga Arusha Moshi Marangu shuttle bus daily Jomo Kenyatta Airport(JKIA) and Kilimanjaro International Airport(KIA)shuttle. They alaso have a Luxury shuttles for Nairobi To Arusha Daily scheduled transfer for fair prices. Their shuttles are of 25 people with full AC and on board entertainment like good music. 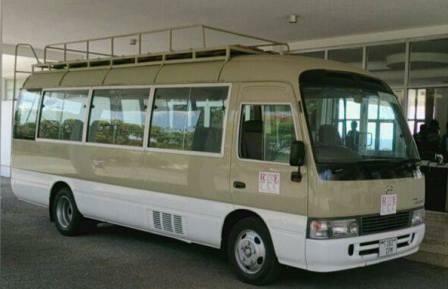 These shuttles may pick up/drop you at any destinations along the Nairbi To Moshi road without any disturbance. Apart from their daily scheduled shuttle, Impala also have Private transfer services with their salon car and also mini bus. whenever you need their services for private transfer between Nairobi city and Moshi Urban just contact them with the details provide at the end of the post. 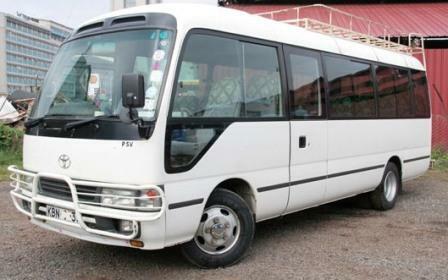 They have Namanga Arusha Moshi Bus which have daily departure for public transfer with a reliable prices. These shuttles is an ideal transfer for tourism activities with the regions and you may book this for group transfer. Also Impala Shuttles does an Airport Transfer with a fair prices, They do pick up and drop off to JKIA, KIA and other nearby local airport with Kenya and Uganda. Airport transfer may be taken as a private transfer as well as public shuttle transfer depending on your needs. You may have Kenya landcruiser car hire and explore Kenya in your way. They have Roadtrip Kenya offers affordable 4×4 rental cars in Nairobi with loads of extras to drive your own adventure. They offer 4 x 4 safari land cruisers and safari customized vans for hire, with an experienced safari driver/guide to our esteemed customers be they individual or corporate clients. safari customized 4 wheel driveland cruiser ,Kenya car rental kenya,Kenya,8 seater safari 4×4 land cruiser. Customized vans for hire with an experienced safari driver/guide to their esteemed customers be they individual or corporate clients. Nyamira Express Is One of the most popular bus company serving the Nairobi to Kisii and Migori routes. The bus company has been dominant over the years, Although the buses are not designed for comfort, the seats are squeezed to seat five passengers in a row, so they make up for that discomfort by being driven at supersonic speeds. 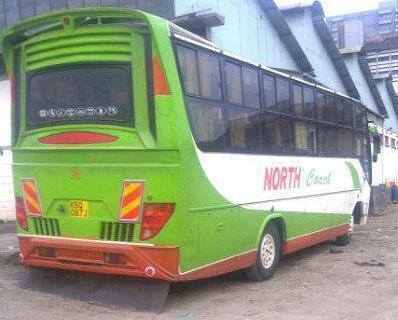 Nyamira Expresst has no one particular owner ss the buses are pooled from different investors. But one of the identified owners of the company is Mr Mr Julius Mokaya Ong’era who own several buses of the company. On their best route of Nairobi To Nyamira, The Company has purchased new Isuzu buses, fueling speculation that an end to it's years-long relationship with Scania is in the horizon. The Scania model has long dominated it's fleet since the founding of the transport company. Most of their buses have 2 by 3 seating arrangement which rank them to ordinary level buses. 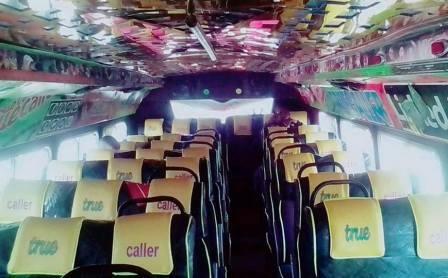 They have few on board entertainment compared to other bus companies and all of their buses are Local made within Kenya. 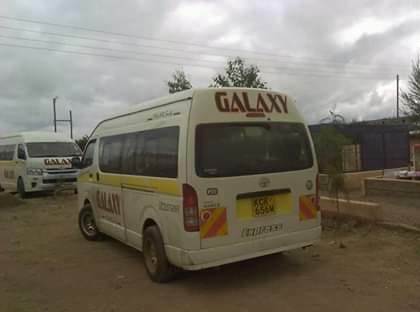 This company has based on passenger transport services within Kenya. They have daily scheduled departure in the major cities like Nairobi, Kisii, Migori and Nyamira. Passengers can book their tickets at their offices located in all of their destination and they have an opportunity to book their tickets in advance. They also transfer Parcels to all of the destinations where their buses reach. Though this is not an official category of business to this company but people are enjoying safe transfer of their parcels in Kenya. 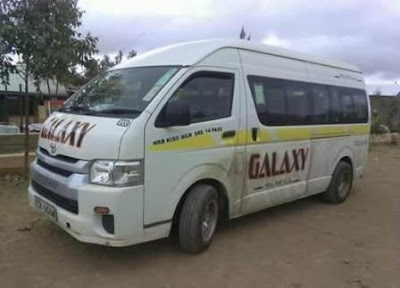 Galaxy Express Shuttle is a passenger and cargo company operating between Nairobi and Western Kenya. Apart from Passengers and Cargo Transport, They also hire their vehicles to institutions within East Africa especially in Kenya. Galaxy Express Shuttle is popular due to its adequate, safe and on time bus services. Several types of fleet run by Galaxy Express Shuttle help in connecting different routes. Galaxy proficiently strives in maintaining its quality and delivering an affordable bus travel experience in the long run. 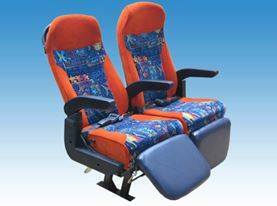 All of their Shuttles have Reclining seats with enough space for your Legs to make you have a comfortable trips. 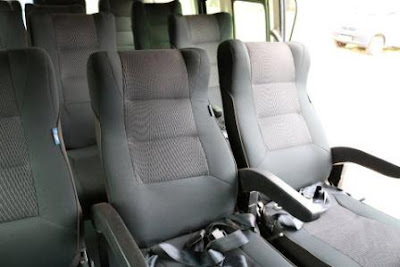 They have a wide range of vehicle seating capacity to cater for your hire needs from 11, 14, 16 & 19 seater vehicles. All of their fleets have LCD screens with good sound systems fitted to keep you entertained with Professional, friendly & courteous drivers whom you can interact and freely have a conversation with. 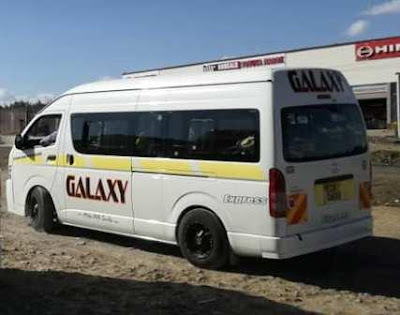 Galaxy provides smooth bus services across a number of cities. This efficient bus company constantly strives in creating travel convenience for many travelers. Galaxy is known for well equipped fleet and friendly staff steadily looking after passenger needs. The primary interest of Galaxy is to ensure passenger safety and comfort. No need to fret on the logistics of moving your cargo, They got you covered. You trusted them to get you to your destination safely & still do, so how about you trust them to take your bulk cargo safely to wherever it is you want? Introducing Galaxy Courier for all your bulk cargo solutions. They deliver you smile. 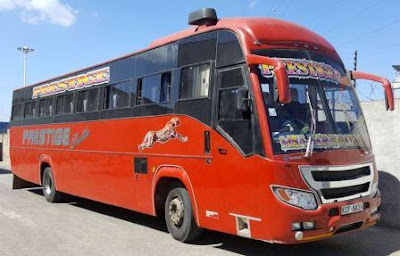 MoloLine Is the most reputable shuttle company which runs services from Nakuru to other towns in Kenya, leaving when full from opposite the old Odeon cinema. There are 10 seats, usually with belts, and drivers tend to stick to the speed limit. This prestige shuttle service goes to Nairobi, Eldoret and Kisumu. Kariuki is the chairperson of the MoloLine services, which was formed in 1994 with a vision of bringing order in the industry. MoloLine started services in Nakuru main bus terminal in 1995. Its first aim was to transform the attitude of commuters and other stakeholders. 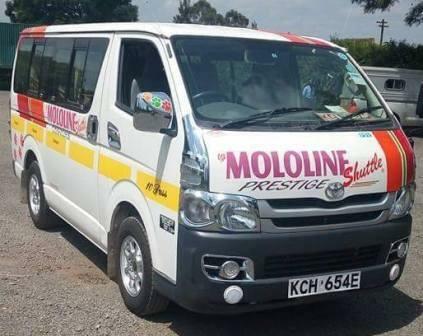 So in 2004, MoloLine rolled out its prestige shuttle. To avoid competition from 14-seaters as witnessed earlier, they set up offices at highway towers along Nakuru-Nairobi highway in Nakuru town away from the bus park. 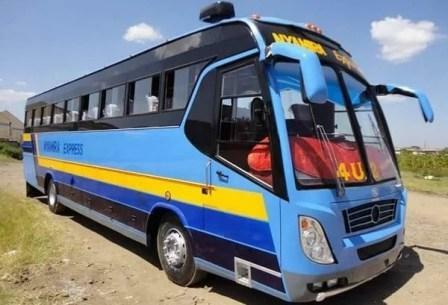 They have two categories of matatus, one which is supposed to carry 16 or 18 passengers but has been designed to carry 12 passengers while the second category which is supposed to carry 14 passengers been designed to carry 10 passengers. The spacious shuttles come with features such as air conditioners, flat screens, expanded speakers and free Wi-Fi. The luxury shuttle vehicles have spacious comfortable seats because the number of seats has been reduced compared to the normal matatus. Furthermore, as a way of ensuring that every passenger is comfortable, a socket from which one can charge a mobile phone or laptop has been provided per seat as well as a switch which a passenger can press to alert the driver after reaching the desired destination. Naivasha, Eldoret, Kericho, Nakuru, Eldama ravine, Kabarnet, Kisumu, Kitale and Nairobi. Prestige Shuttles Tours and Travel Company Limited is a Kenya-based company that operates in the busy transport industry. They are engaged in providing domestic carriage of passengers by road. Currently, They operate and travel to over ten major towns in Kenya, some of them being Nairobi, Nakuru, Kericho, Kakamega, Kisumu, Busia, Maseno, among other towns. Besides transport services for passengers, They offer parcel services. Their parceling system targets individual and corporate customers who have the desire to send packages from one destination to another. Therefore, you can send a parcel from any of their destinations to other destinations and advice your consignee to collect them from the destination branch by presenting the required identification. They are the leading shuttles services provider in Kenya. They are engaged in providing domestic carriage of passengers by road. Currently, They operate and travel to over ten major towns in Kenya, some of them being Nairobi, Nakuru, Kericho, Kakamega, Kisumu, Busia, Maseno, among other towns. They are the leading parcels services provider in Kenya. You can send a parcel from any of their destinations to other destinations and advice your consignee to collect them from the destination branch by presenting the required identification. They provide car hiring services to individuals, groups and organizations. Their car hiring is done via the booking office, depending on your needs (number of people, whether it is short or long term, among other factors. To make a hiring enquiry, please contact us through our mobile phone: 0721-949950 | 0707-472473. 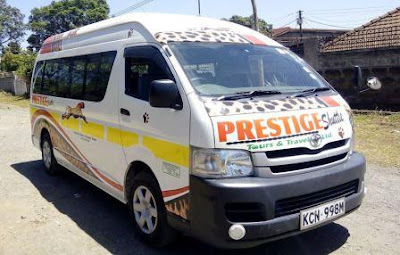 Prestige Shuttles Tours and Travel Co. Ltd.
Great Rift Express Shuttle offers transport services to and from Nairobi to Eldoret, Kitale and Malaba. They also offer car hire services at reasonable prices. Their vehicles are Comfortable and Affordable with qualified drivers. 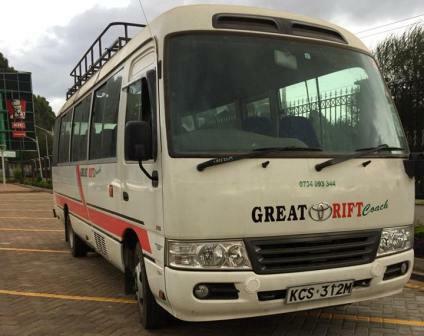 Great Rift Valley Shuttle Services in Nairobi is playing an important role in ensuring that Kenyans not only travel in style but also in comfort. The Rift Valley shuttles from Nairobi are fast and safe which translates into cutting down travel time. The Rift Valley Shuttle Services is an express service in Nairobi. 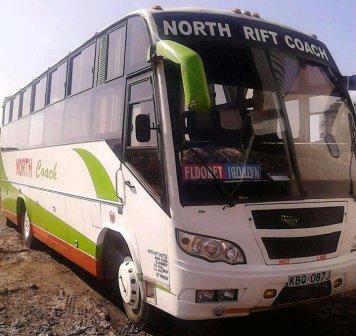 This means that the Rift Valley shuttles from Nairobi do not keep on stopping at every stage, and they do not pick up passengers found in Kenyan Roads in the middle of the journey to Rift Valley. This greatly reduces the journey time. 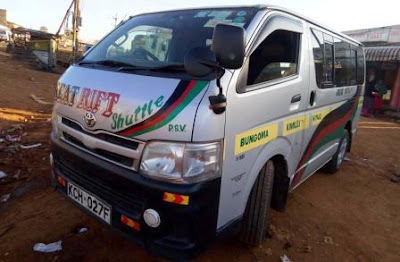 The Rift Valley shuttle services in Nairobi has Nissans which travel to Naivasha, Nakuru, Eldoret and Kitale towns in Kenya where there are other branches of Rift Valley Shuttle Services in Kenya. Once you go to the Rift Valley Shuttle Services office in Nairobi, you get a ticket and are given a seat number. The seat number shows where you will sit on a Rift Valley Shuttle. Therefore, if you would prefer a certain seat in the Rift Valley Shuttle, you need to book for it early to avoid being inconvenienced. They also have Toyota Quantum and other models of Toyota for their daily services to their customers. All of their fleet are clean with smooth seat to give a comfort ways of traveling between all the destinations they used to go. Their bus have on board entertainment like Television services and good music system for you to enjoy. They have specialized on Passenger transport services To and From Nairobi City and other major towns in Kenya. 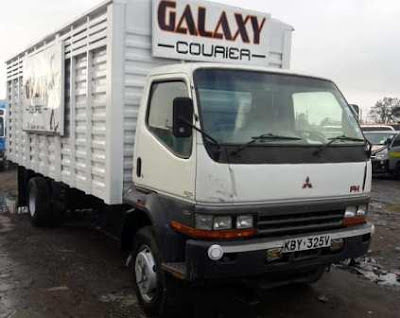 They also dealing with Courier services whereby they are engaged on Parcels and small luggage transportation to various destinations in Kenya. 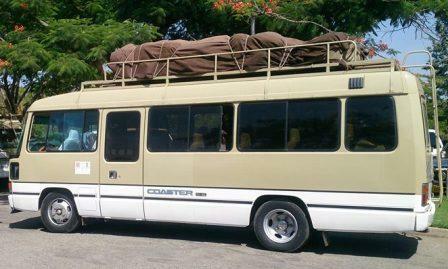 Comfort is one of the advantages of traveling in a Rift valley shuttle in Kenya. The Rift Valley vehicles carry up to twelve passengers. The Rift Valley Shuttles in Kenya have very comfortable seats and are very spacious especially for long distance travellers in Kenya. This means you will have room for your feet and your back will be well protected making the journey to Rift Valley in Kenya very comfortable. 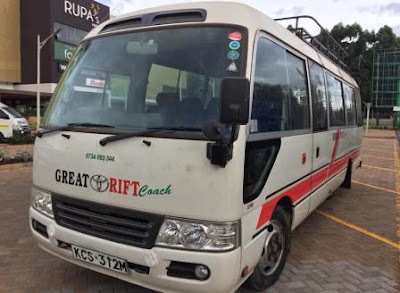 During the longer distances to Rift Valley towns in Kenya such as Eldoret and beyond, the Rift Valley Shuttle vehicles make stopovers in Naivasha and Nakuru towns in Kenya to enable the passengers to stretch their legs, attend to their needs and have some food. If you prefer eating your own food, you can carry a packed lunch, but otherwise you should carry some money to enable you to buy some food during the journey to Rift Valley while traveling in Rift Valley Shuttle vehicles. Passangers along Nairobi-Nakuru-Eldoret highway can book a space and be picked at an agreed time and location through M-pesa or Zap on 0700 09 33 44 and/or 0734 09 33 44. NB: (Students and Member Passangers are always entitled to an offer). Visit them each time you travel and apply for membership. Nairobi Office - Mfangano Trade Centre, along Mfangano Street. 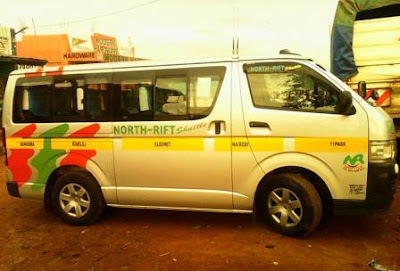 North Rift Shuttle Is a public transport company of high repute that is commited to quality and competitive public transport need that seek to satisfy their customers needs in Kenya. North Rift shuttle was established with the focus on Transport Solution as stated in their Motto, Comfort and Quality service is their prime focus. Their objective is to offer high quality services and efficiency mean transport and parcel delivery. The company was initiated abouit 30 years ago, way back in 1988 with its first name as Everytime Peugot Services, by the then with Peugeot 505 station wagon plying Nairobi to Eldoret route being its main operation route. 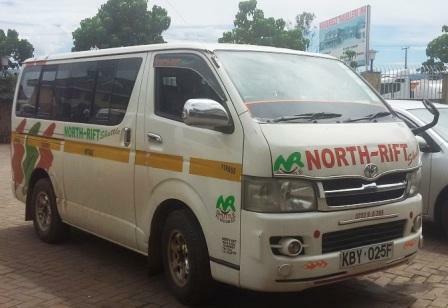 From Peugeot to a modern fleet, North Rift Shuttle have acquired a new Toyota Quantum mini bus and they also purchased Fuso Bus as seen from the picture. Their new fleet are of comfort class and with modern facilities. 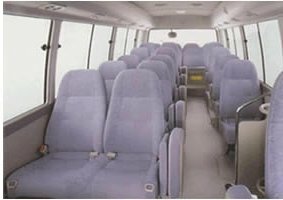 Their Toyota Quantum Mini bus have soft seats for comfort travel with good music system and mini television to refresh your mind while you are on board. 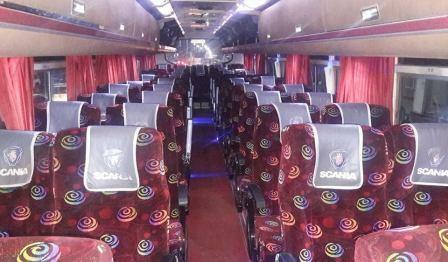 Their Main bus have 2 by 2 seating arrangement which give you enough space to relax while you are traveling with them. They are also fitted with on board entertainment for lovely travel. This transport company focus on Passenger transportation services, Nairobi to Eldoret being their major route. They have daily departures in all towns and cities where their shuttles and bus have a stops. They also doing a courier services as they are transporting parcels and other small luggages to all the destinations where their buses reach. They are charging a fair prices to meet the demand of the low income earners in Kenya. Randa Coach Bus Services offers scheduled passenger and parcel transport from Mombasa to Nairobi city and vice versa. This is achieved through their coaches which is luxury and comfort for your travel. 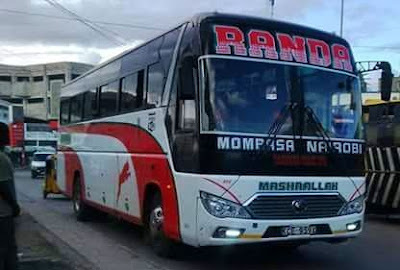 Randa Coach provide it's services between Mombasa and Nairobi city day and night with scheduled departures. Most of their Coaches carrying capacity is 44 passengers only. Randa Coach is one among the dominant and well reputed for good services in Mombasa To Nairobi route. 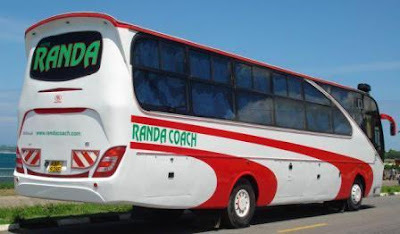 Randa Coach started operations with Scania Bus model with Locally fabricated bodies from Master Fabricator, But they are now having a modern Chinese Yutong bus plus those Scania. Both Scania and Yutong buses have big sitting space is and luxurious. The coach has a 2 by 2 sitting arrangements with a sleeping coach feature ( Reclining). 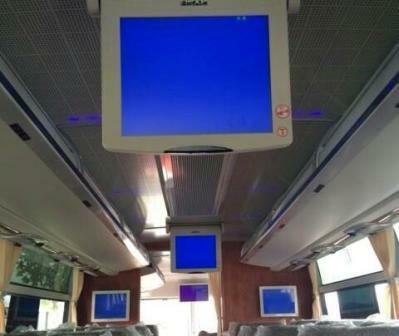 While you are traveling with Randa Coach you will enjoy a multiple Television fitted on each side of their buses with good sound system to enjoy nice music. Also their coaches are fitted with Charging system for you to charge your phones for longer connectivity while you are enjoying a free WiFi from their routers. This company basically based on Passenger transportation between the two named cities with daily scheduled departure. All travelers can make booking online through their system bu they can also visit their offices for booking. Their Coaches are also available for Hire to all people within Kenya especially Students, Workers, Churches, Companies and other social groups. Apart from those above named services, They are also doing Courier Services whereby they can safely transport your Parcels and small Luggage from all of the destinations where their buses reach. For your smart Online Booking, You Can use the following PAYBILLNumber: 980435 through Mpesa and you will confirm your Tickets.